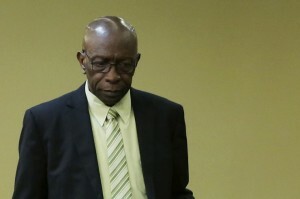 PORT OF SPAIN, Trinidad – The allegations against former FIFA vice-president Jack Warner continue to mount, with Egypt now claiming that he asked for US$7 million to secure votes for that country in its 2010 World Cup bid. Egypt’s former sports minister Aley Eddine Helal has alleged that Warner approached the country in 2004, asking for the money in exchange for seven votes. Former head of Egypt’s football federation Al-Dahshouri Harb further told Reuters that the 72-year-old Trinidadian said he would not keep the money for himself, but give it to poor clubs and federations in Latin America. Helal said Egypt rejected Warner’s offer. “He said he could guarantee us seven votes . . . He asked for US$1 million for each vote,” Helal told Egyptian television. Egypt did not get one vote in that 2004 election. Since Warner was indicted in the United States on charges of racketeering, wire fraud, money laundering and bribery – along with 13 other former or current FIFA executives and sports marketing and broadcasting executives – he has been accused him of asking for money in exchange for votes and misappropriating funds intended for use in football. He is currently on TT$2.5 million (US$394,601) bail as the US seeks his extradition to face the charges. Warner has denied all the charges and allegations.